Sat. 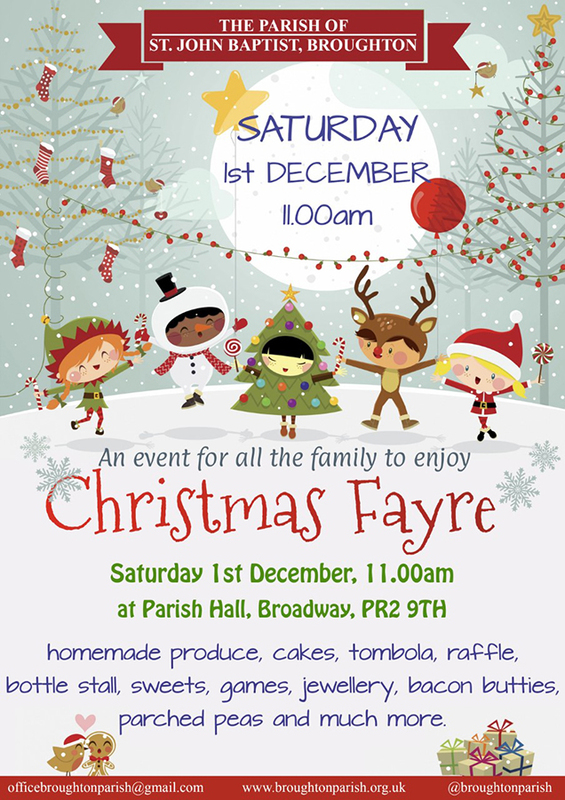 1st December 11am, at the Parish Hall, Broadway Come and support our Christmas Fair Lots of stalls including toys, plants, books, Christmas wrapping and jewellery. Get your Christmas cakes and puddings here. Try your luck on the tombola, raffle & prize draw. Bring the children to see Father Christmas Finally relax with a bowl of hot soup and a sandwich. Don’t miss it!